What is Qube! Metered licensing? Qube! Metered licensing allows you to add capacity to your render farm on-demand and to only pay for what is actively used. Once Metered Licensing is installed, it requires absolutely no effort to burst to additional resources with Qube!, including finally using those idle desktops. You can also use Qube! to render in the cloud. You can use any kind of cloud provider such as a private cloud environment like Scalr or Liquid Web or a public cloud provider. Almost all of our clients use public cloud providers - Google Cloud, Microsoft Azure, or Amazon Web - we have clients using Qube! in production on all three. How much: you can set a limit such that when the cost for number of worker-minutes for the current month exceeds your Monthly Spend limit, metered licensing is disabled. Metered Licenses for desktops at night or cloud machines. If you need extra capacity, Metered Licensing knows the total amount of Qube! licenses you have already paid for (perpetual and subscriptions) and only charges for each minute that you go over your current paid license count. As soon as already paid licenses are available, those are used keeping your spend per minute to the absolute minimum. The Metered License allows you to expand from one machine to an unlimited number of machines and intelligently optimizes the usage of your already paid licenses in the process. Read this Case Study on how exactly Qube! Save You Time and Money. Why is PipelineFX offering Metered licensing? Customers had requested the ability to render on their desktops as needed / if needed, and they didn’t want to pay for a full license to sit there unused most of the time. Now they can use their Qube! Metered Licenses to burst to their desktops without having to worry about paying for a license that isn’t being used. In addition, there has been a massive movement across most industries to do more data processing in the Cloud, including rendering. Qube! Metered Licensing matches the model of Cloud Licensing where you only pay for the uptime of the cloud resource and then power it down when you’re not using it so you don’t pay for unused time. Is Qube! Metered licensing right for me? Qube! Metered Licensing is primarily used for bursting (short-terms and emergencies). Bursting is when you have the temporary and possibly sporadic need of extra render capacity beyond your existing resources. If your organization has a bursty render workload, then Qube! Metered Licensing may be the right fit. The​ ​steps a graphics system needs to perform to render a 3D scene to a 2D screen ​​is​ ​a​ ​very​ ​“bursty​ ​process,”​ so​ ​one customer​ ​may​ ​need​ ​10,000​ ​cores one​ ​night​ ​and​ ​only​ ​a​ ​couple​ ​of​ ​hundred​ ​the​ ​next​ ​night.​ ​In addition,​ customers​’ ​deadlines​ ​are​ ​not​ ​variable, yet ​​the​ ​time​ ​needed​ ​to​ ​render​ ​each​ ​project​ ​is​ ​very different, based​ ​on​ ​the​ ​level​ ​of​ ​computer​ ​graphics,​ ​layers​ ​per​ ​shot,​ ​resolution​ ​of​ ​the​ ​rendered project​ ​and​ ​the​ ​number​ ​of​ ​frames​ ​per​ ​second​.​ ​To​ ​meet​ ​a​ ​deadline,​ ​customers may​ ​need​ ​to​ ​scale​ ​from​ ​500​ ​to​ ​1,500​ ​machines​ ​for​ ​three​ ​days.​ ​But​ ​after​ ​those​ ​three​ ​days,​ ​customers do​n’t​ ​want​ ​to​ ​pay​ ​for​ ​rendering​ ​licenses​ ​that​ ​are​ ​not​ ​being​ ​used.​ ​Their​ ​job​ ​is​ ​finished, so​ ​they​ ​should​ ​not​ ​need​ ​to​ ​pay! Qube! Save You Time and Money with Metered Licensing. 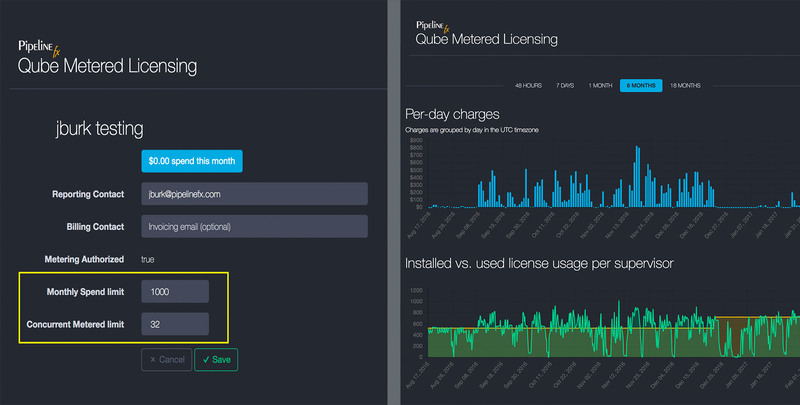 How exactly is Metered licensing different from the current Qube! perpetual licensing? Qube! Perpetual Licensing operates by you acquiring a Qube! Supervisor with the option to add perpetual worker licenses or to burst your worker count with a short-term subscription license or Metered Licensing. Perpetual licenses are licenses that you own forever and the only recurring expense is annual Maintenance and Support. Metered Licensing only accrue cost if you set it up and use it. NO USAGE = NO COST. Qube! Metered Licensing is also billed monthly, in arrears, for all of the accrued usage for that period. Any customer can run metered licenses. Qube! Metered Licensing is charged by the minute for each license used, which is one per machine for every machine that runs a Metered Worker License, at the rate of $0.10 per hour ($0.00167 per minute). How can I get Qube! Metered Licensing? Qube! Metered Licensing ships as a standard feature (in v6.9 and after). All customers have access to Metered Licensing. There is a component that you will need to install during the upgrade or setup called the MLA (Metered License Agent). If you install the MLA and enable metered licensing for your supervisor, it will dispatch jobs to more workers than you have perpetual and subscription (prepaid) licenses. You will receive an invoice at the end of each month for that month's usage, and you're only billed for what you use, just like your utility bill. Pay for only what you use, and pay for it at the end of the month. Can I still rent (subscribe) Qube! licenses if I’m running Metered Licensing? Yes. Customers can mix license types. You can add capacity in any way if you are already also using Qube! Metered Licensing. You can buy additional Qube! 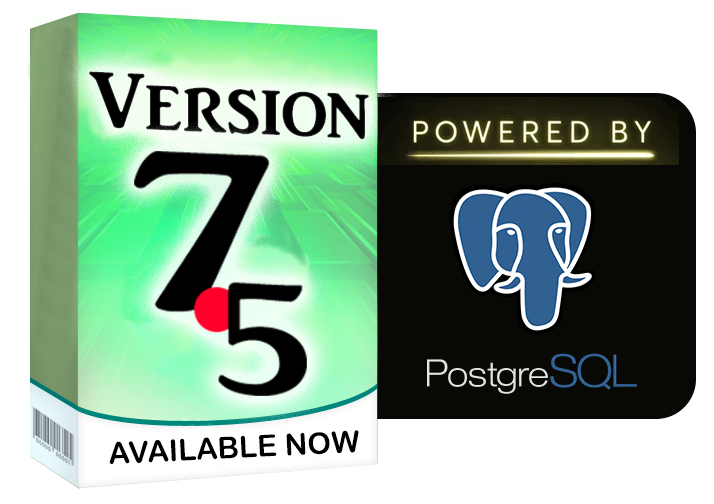 Perpetual Licenses or Subscription licenses. Our Qube! Metered Licensing will automatically prioritize the use of those paid licenses before adding Metered Licenses for extra capacity. Can you help me get up and running quickly with Qube!? Once you opt-in to using Qube! Metered Licensing, you can seamlessly add resources to your farm with little to no effort. However, if you want additional help, you can purchase on of our consulting services called the JumpStart. Where can I learn more about Qube! Metered licensing? Contact sales@pipelinefx.com for more information.